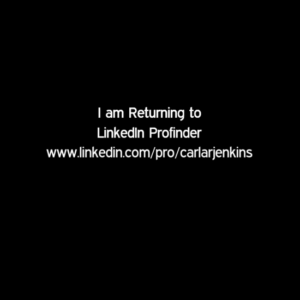 I am back on LinkedIn Profinder looking to partner with great companies and individuals in the areas of project management, program management, data analytics, and brand management to increase productivity and efficient delivery of high-quality goods and services. I am all about customer service and increase customer retention and loyalty. How? By employing my excellent verbal, executive, written and interpersonal communications to retrieve the information to get results. I have worked in the private and public sectors. I have worked with technical and non-technical audiences. One thing is for certain: I deliver results!